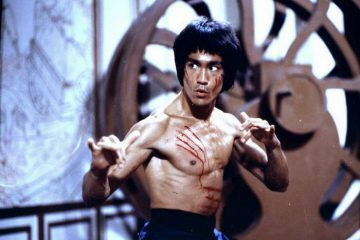 Unless you have been living on Mars or in a very big cave, the name Bruce Lee will be instantly familiar. This martial-arts master was just extraordinary in what he could do and how crazy good his kung-fu skill was. Although he died tragically young at age 32 due to an allergic reaction to medication, his legend still lives on through his movies and the things he achieved during his life. 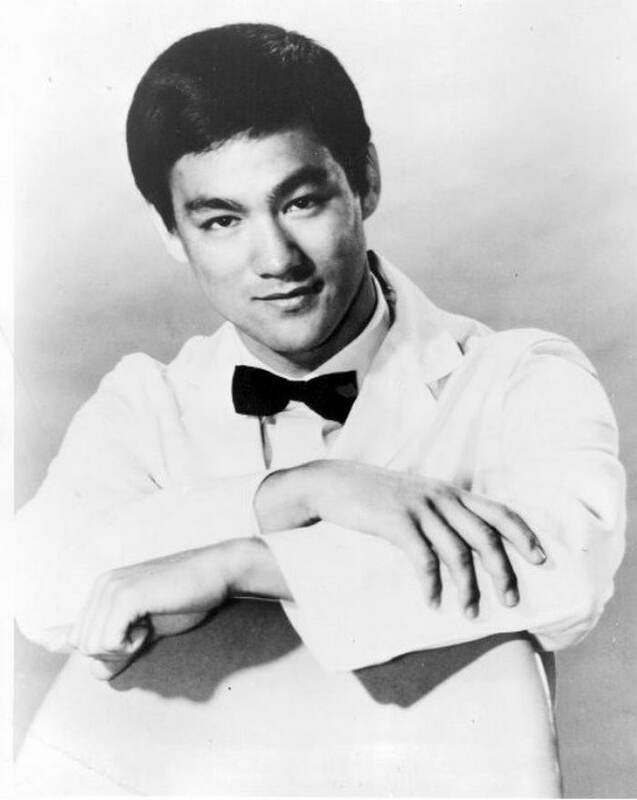 Although later in life, he would use kung-fu to help people or purely for self-defence, it didn’t start that way for a young Bruce Lee. He grew up in Hong Kong during the 1950’s which was a pretty rough and tough place. Poverty and crime were common as were gangs of lawless youths. Lee joined one such gang (The Tigers of Junction Street) and spent his teenage years getting in fights and falling foul of the police. In the end, his family had to bribe the police to let him out of the country to get him away from trouble and to start a new life in the USA. After settling into his new life in California, Lee naturally decided to start teaching the martial arts he had learnt from his teacher Yip Man in Hong Kong to others. The only problem was that he wanted to teach it to everyone rather than just Chinese people. This was very controversial in the Chinese martial arts community at the time as they did not believe this was the correct thing to do. Eventually, in 1964, a representative of the Chinese martial arts community called Wong Jack Man challenged Lee to a fight. If he lost, he could not continue to teach non-Chinese students. According to the majority of accounts, Lee won the fight easily and Wong Jack Man tried to run away in the end to avoid a beating. 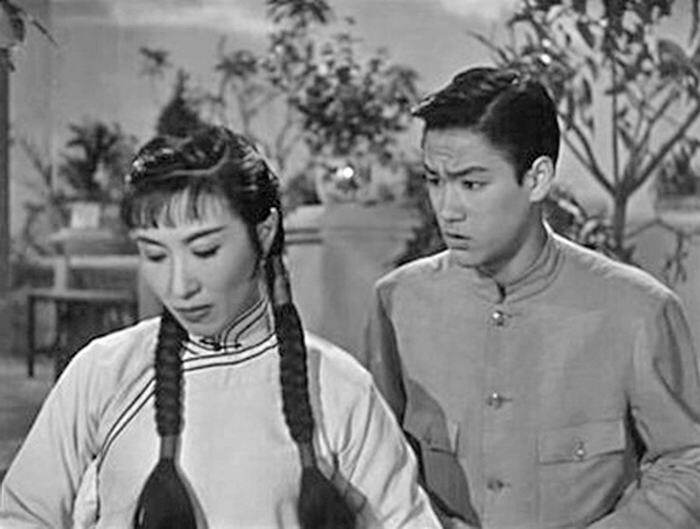 Of course, Wong Jack Man’s account differs but Lee was allowed to carry on teaching ow he wanted, whatever the outcome! 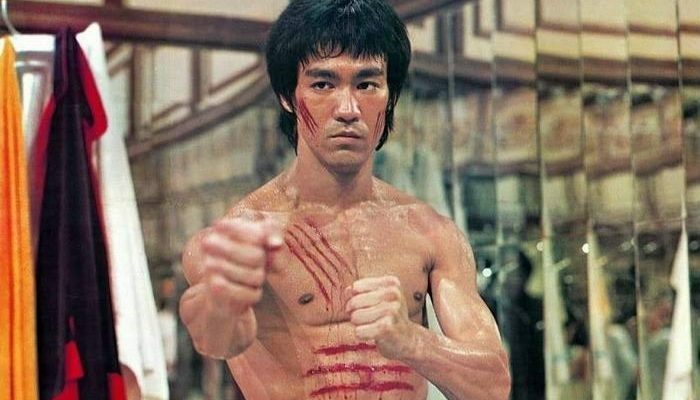 You don’t become a kung-fu legend by training easy and Lee knew this. His personal workout sessions were very intense and dangerous, even for him. Usually, this was not a problem as he was very careful when training. However, one day this was not the case. Every morning he would place a 45-kilo barbell on his shoulders and then bend over until he was parallel to the ground. On the morning of the injury, for reasons unknown, he failed to do his usual warm-up beforehand. This resulted in him damaging his spine badly and spending six months in hospital learning to walk again. 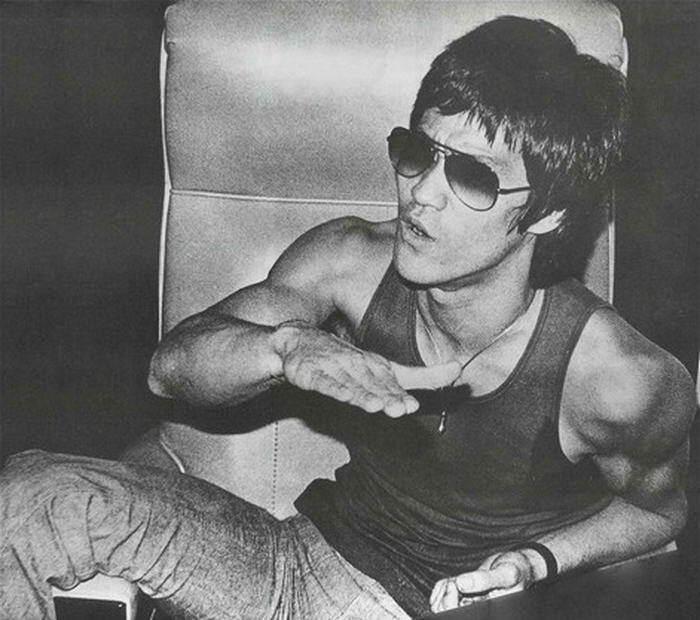 Bruce Lee wasn’t just famous with the average Joe in the street. Through his TV and film work, he came to the attention of various actors such as James Coburn, Steve McQueen and Chuck Norris. Indeed, he was even flown to Switzerland once to give the famous director Roman Polanski a private lesson. Interestingly enough, Lee didn’t particularly like this and even raised his hourly fee up to a massive $250 an hour to put them all off. 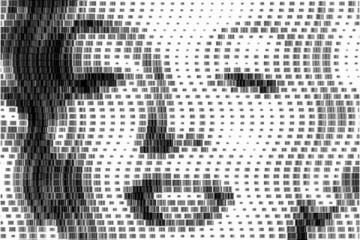 He thought it cheapened the art if it looked like a hobby for the rich and famous that could be mastered in a few lessons. It didn’t work though and they still came flocking! Without wanting to make Lee sound like some superhuman character, he really did possess qualities few mere mortals had. One in particular was his lightning quick speed and the how fast he performed his routines. In fact, it was so fast TV and movie cameras had trouble catching it! In addition, he was so quick that viewers couldn’t see what he was doing in real time and producers worried it would look fake. In the end, they settled on either asking him to punch slower or recording at 32 frames per minute before slowing it down on transmission. 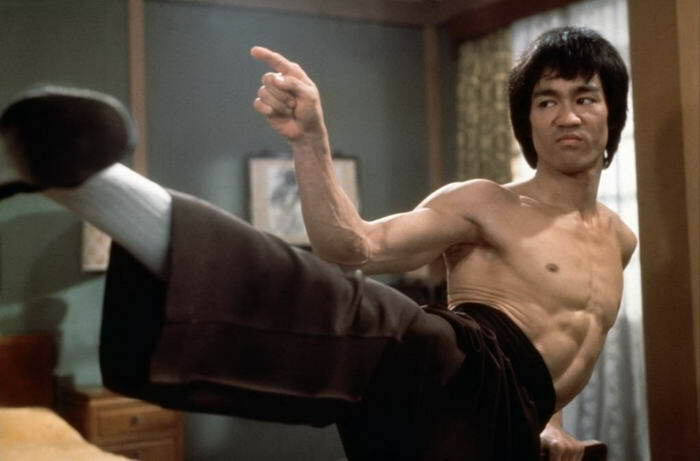 Although famous for his Chinese heritage and for being the first Asian move star, Bruce Lee wasn’t 100% Chinese. He had a half-German grandfather on his mother’s side which meant that Lee himself was part-German too. 04 – He Was Too Quick for Humans! 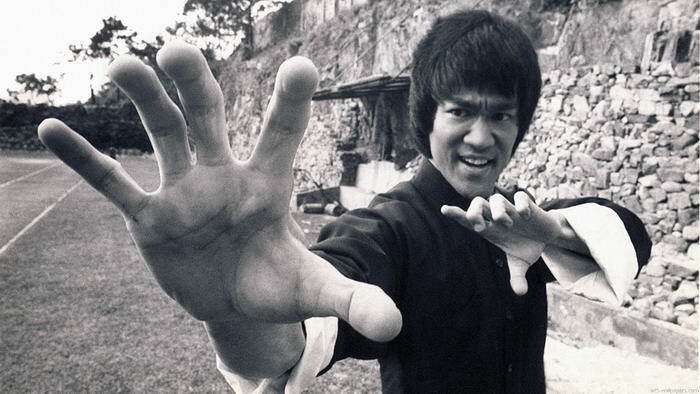 As well as the One-Inch punch discussed later, Bruce Lee was also famous for demonstrations of his supreme reflexes. His favourite trick was to place a dime on someone’s open palm and then grab it before they could close it. Even better he would replace the dime with a penny at the same time! You know you’re hard when you can do this! 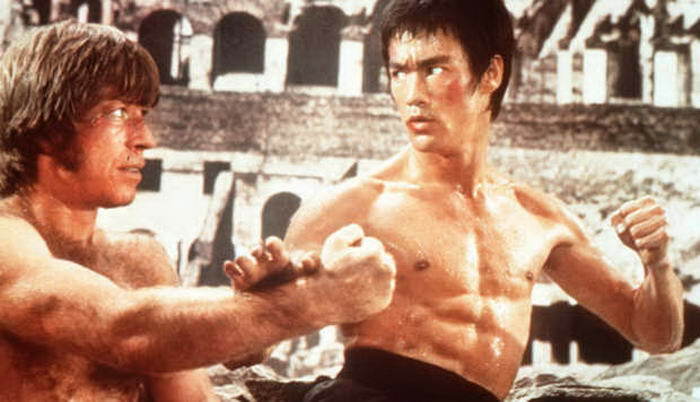 When filming Enter the Dragon, Lee kicked actor Bob Wall and sent him careering backwards. Although Wall was fine, the unsuspecting extra behind him was not! Wall crashed into the guy and accidentally broke his arm in the fall that followed. Obviously, Lee did not mean to do this but it’s another example of his power and effectiveness. 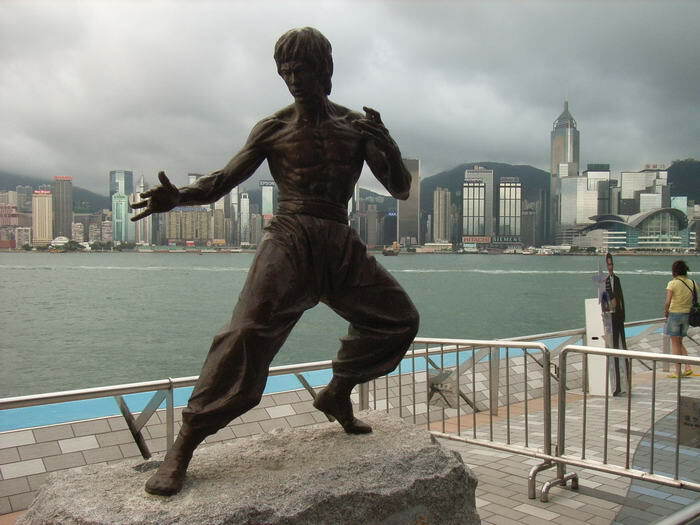 Although Bruce Lee was not a large man (he weighed around 140lbs), he had tremendous strength. This was a result of the standard kung-fu training he undertook but also the amount of weight work and other exercises like pull ups he did. Nothing showed this better than the way he could do a one-handed push-up using only the thumb and one finger of the hand he was pushing up on. Seriously, don’t try this at home! 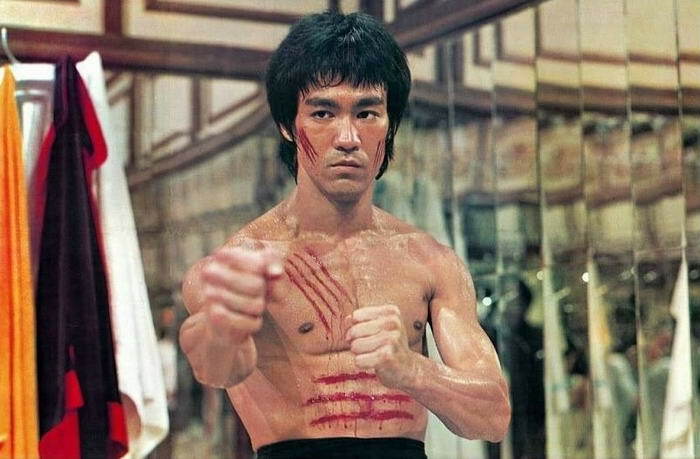 One of the thing he is best known for is the famous One-Inch Punch. Working exactly as it sounds, he would place his fingertips on an opponent’s chest and then, with no drawback or telegraphic movement, punch them. 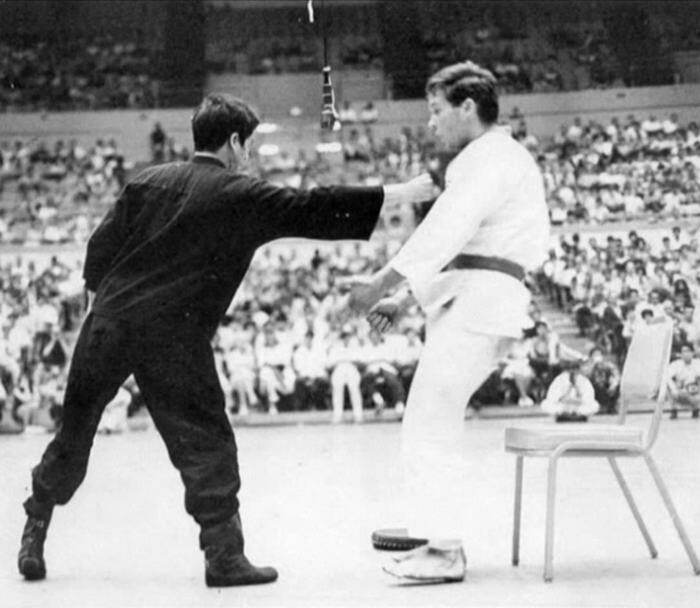 This was famously shown at the Long Beach Championship in 1964 when he sent his training partner flying backwards with this technique. A very impressive feat, this shows how much power Lee had but also how good his technique was. I’m not sure the person he practiced it on was impressed though! 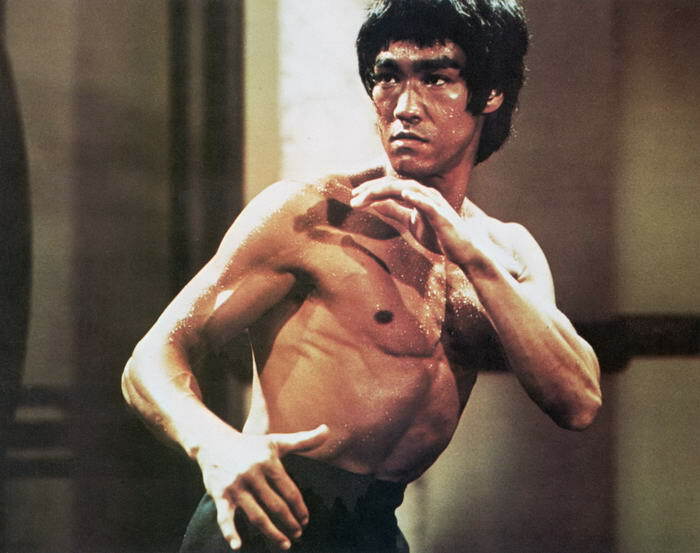 Bruce Lee will live forever in modern culture and martial arts circles as a true legend and master. 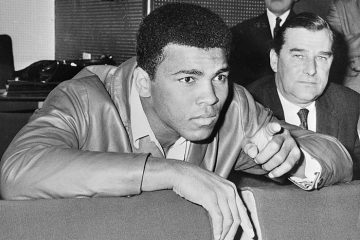 His strength, speed and iron will were an example to all of what can be achieved through hard work and belief. If you need any further proof of his talent, just check out any of his films and see for yourself.